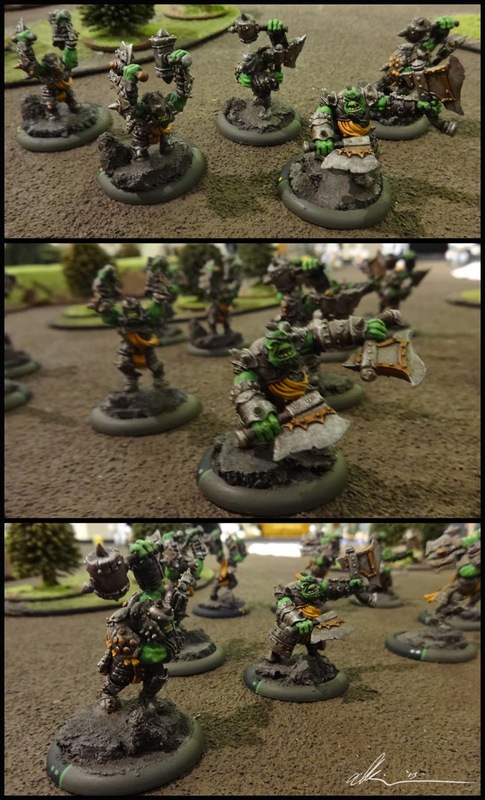 The great Trollblood commission is complete! (for now at least). A fairly large commission model wise, the bulk of this is for the Kegslayer Family Reunion list. I will not that I did not assemble the models, albeit a few conversions and fixes. 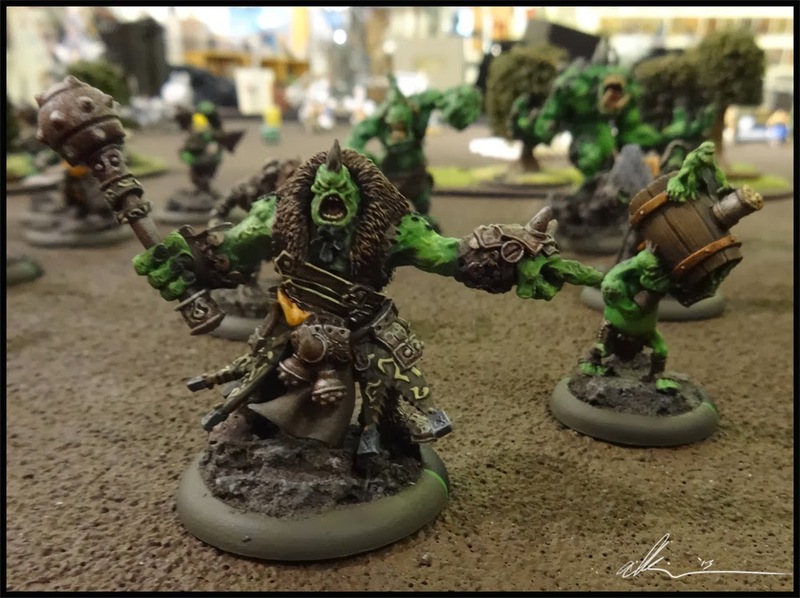 The client wanted his trolls green. I wasn't too keen on it initially but I found a good color scheme and it finally warmed up to me. 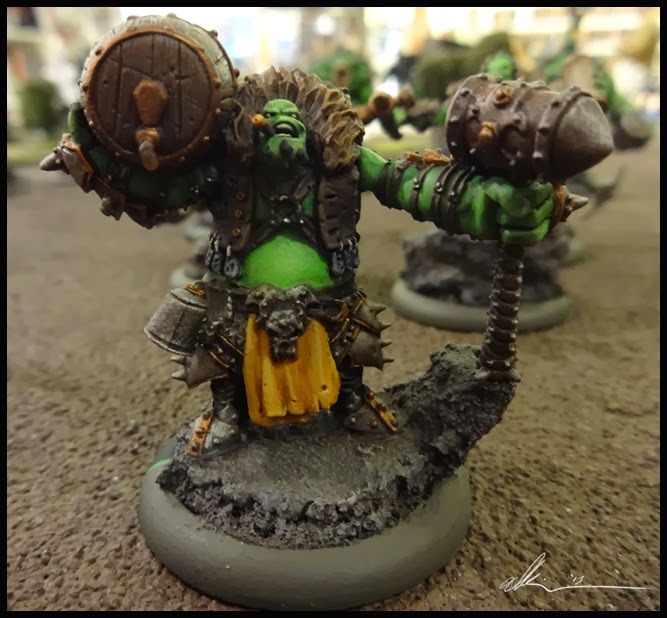 One of my favorite sculpts, Borkha Kegslayer and his little keg carrier. 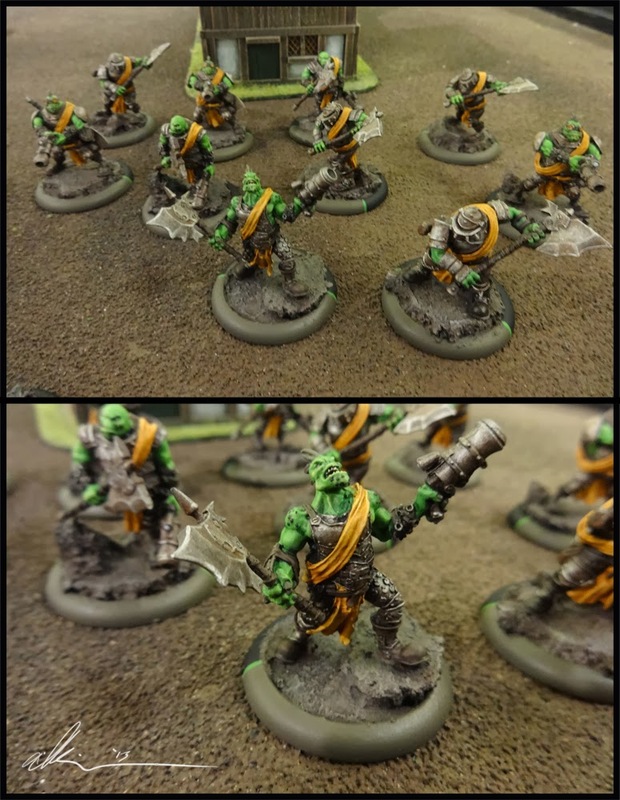 The commision was to be tabletop quality (as seen later with other models) but I gave these guys a little extra love. I also did Calandra, though it is for another list. 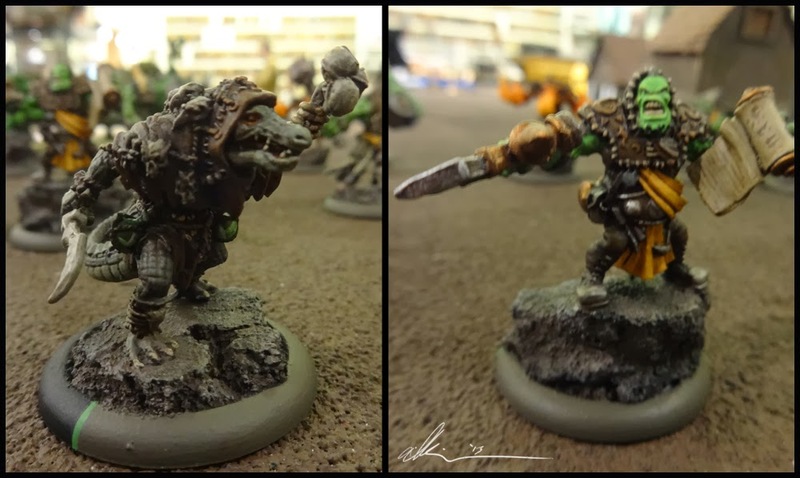 Next, the Dire Troll Mauler (the old metal sculpt). 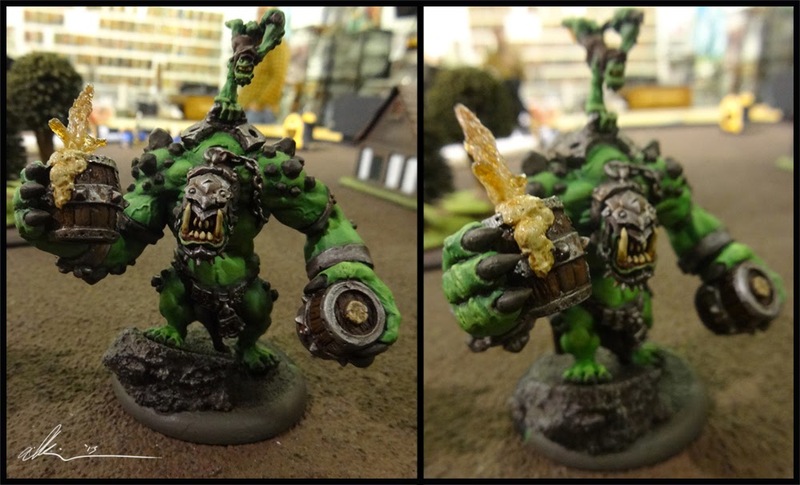 The Dire Troll Bomber is one of my favorites from this commission. A last minute experimentation after some discussion about a future Mountain King project, I decided to experiment with some water effects to have some spewing beer from one of the kegs. 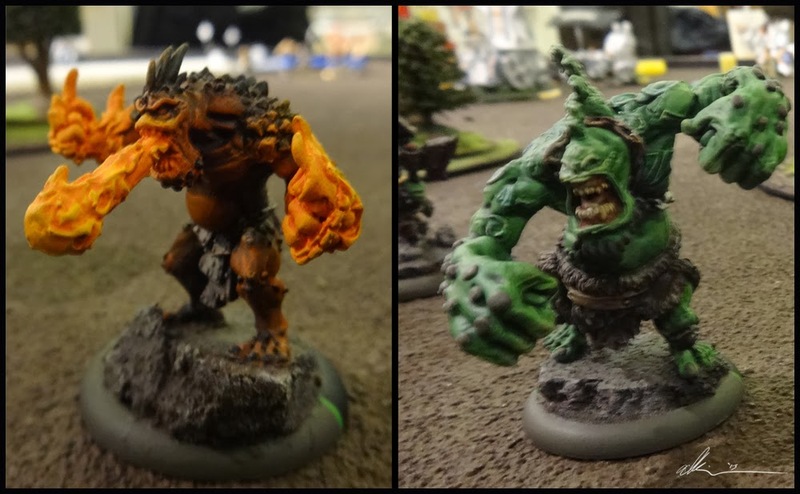 The Pyre Troll and Storm Troll. And a good number of solos. 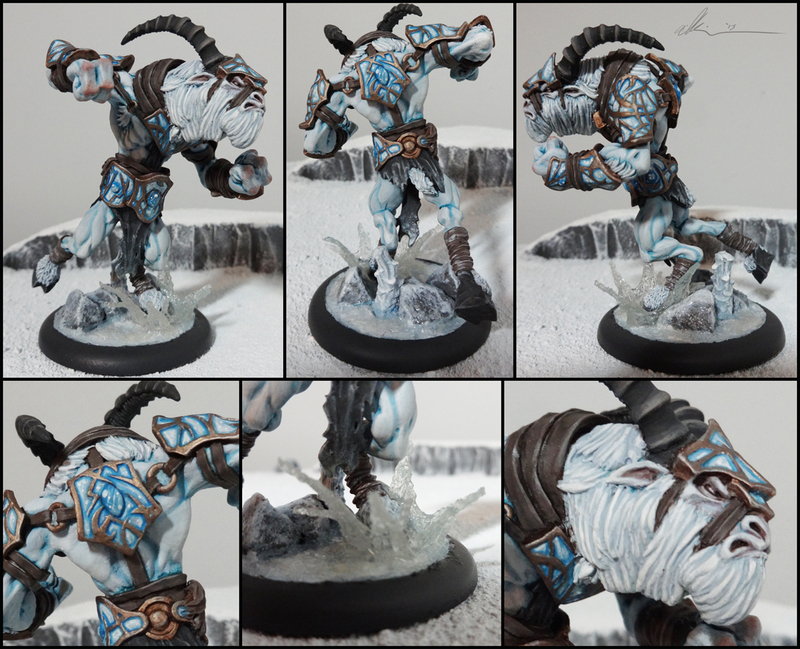 Skadi and Janissa were also sculpts I had always liked, so they too got some extra love above the designated quality. 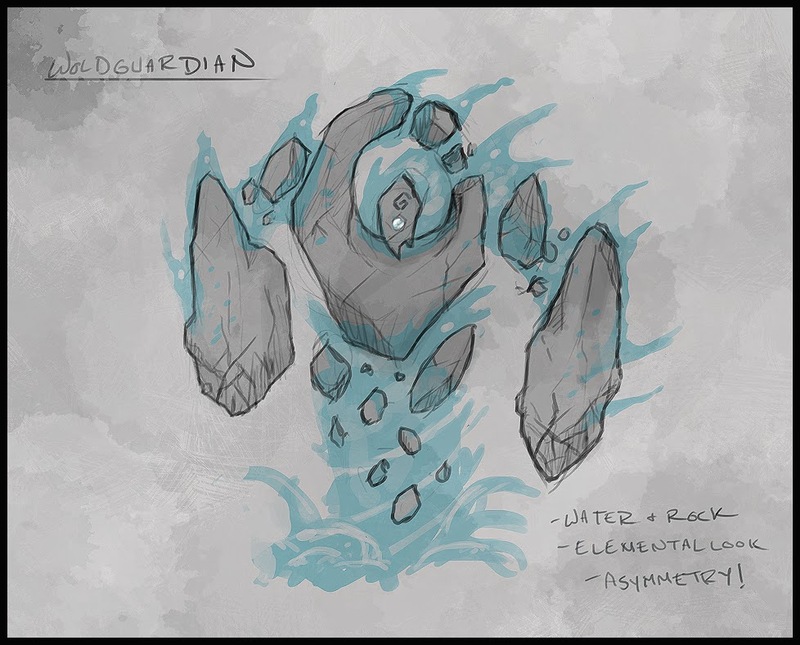 Water & Stone Wold Guardian concept. Its been a bit of time since I've gotten to work on some Circle, as my recent commission work as kept me sidetracked. 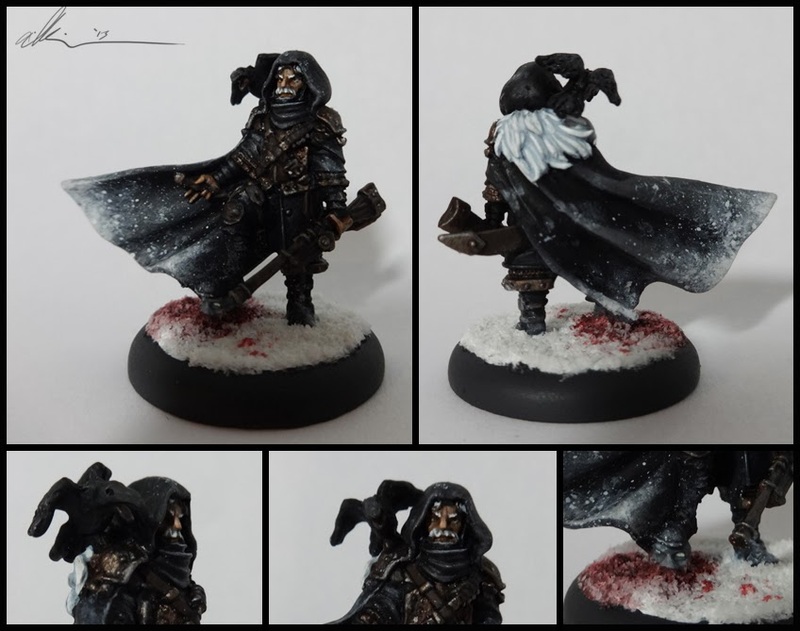 Here is my Night's Watch inspired Saxon Orrik! 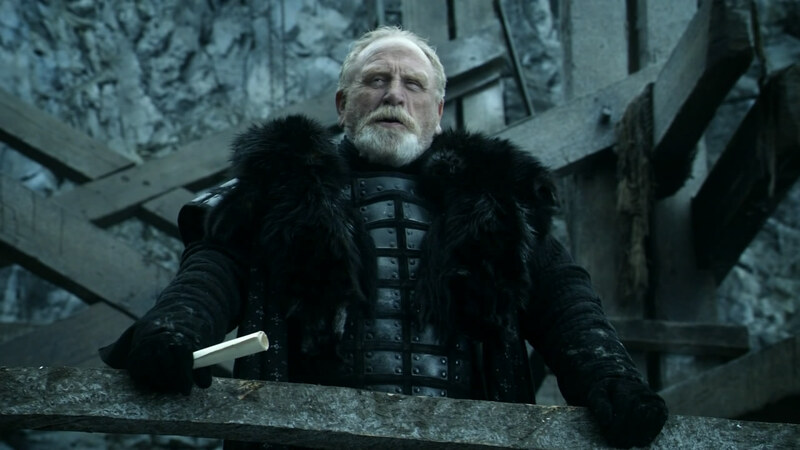 I wanted to have a gruff and grizzled look, so I took elements from GoT's Lord Commander Mormont (one of my favorite characters from the books/ shows. The crow was added from the Menoth Wracks kit and the hood and facial hair was green stuffed in. With the end of summer about, I've been pulled away from my painting in the recent days with all sorts of distractions. However in my last few days off I managed to get a new one done! I've always been a fan of the Freebooter and have always wanted to just work on one. So I did! Picked this guy up, sat down and built him in a couple hours, then went to town with the paint. 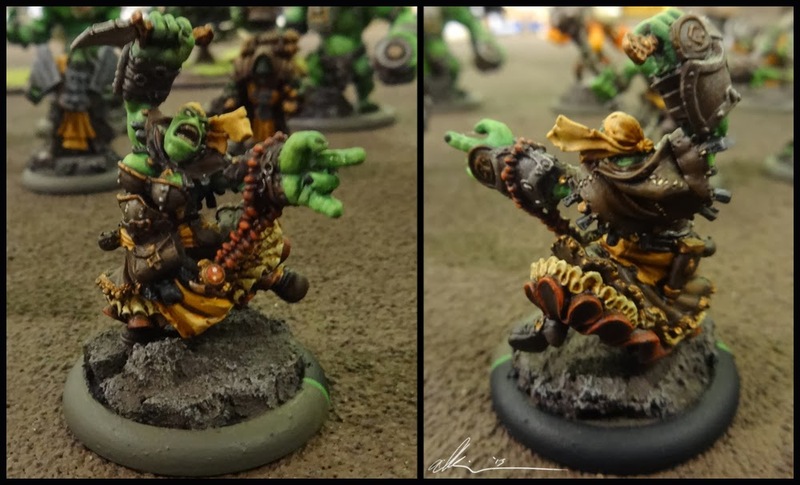 With the introduction of the new Merc Minion Jack Marshal, Rulak Moorclaw, I immediately knew I wanted some jacks for my Gatormen, this guy and a Buccaneer especially. I wanted to make him look like he belonged with them, but still apart, so I kept the base cohesive with their and gave him a little swampy dock. The planks were made out of craft sticks and the piling from a wooden dowel. I've always loved the Freebooter's pose so I ran with it and had him smashing through the piling, splinters shooting everywhere. They were simply glued together and hit with some zip kicker for a quick hold (To which im honestly surprised they held up so well). Added a bit of jewelry chain to just give the base a little more oomph so to speak, its the little things that count. 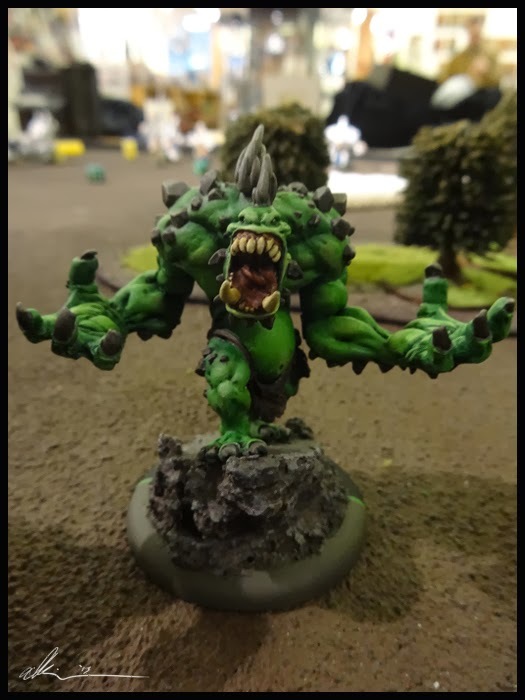 One of my favorite mini's to date, just gotta get him on the table now! Finished up some of the Bloodtrackers and Nuala. Trying to get a good mix of hair color. A few lovely redheads in the mix to brighten things up. A bit of water effects on the blonde for a small stream base. The bottom left was a huge pain to get in between the legs and trees, but worth it in the long run. This poor gal. Endured a bit of rough treatment as she was painted. 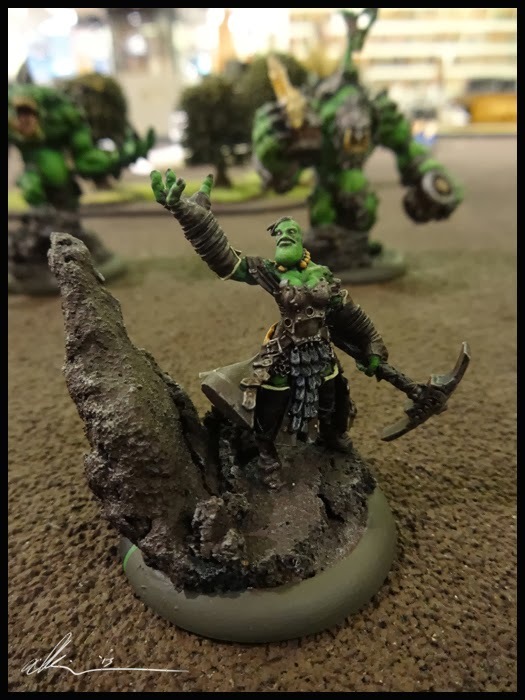 Almost got dropped in the dirt while dullcoating, breaking off the spears and her claw arm, not to mention ruining some of the paint. Went back and fixed her up and now shes good to go. Pretty happy with the dusting on the cape. Finally got to posting this guy. Been done with him for a bit and even get a little game time in with him! Very fun piece to work on. 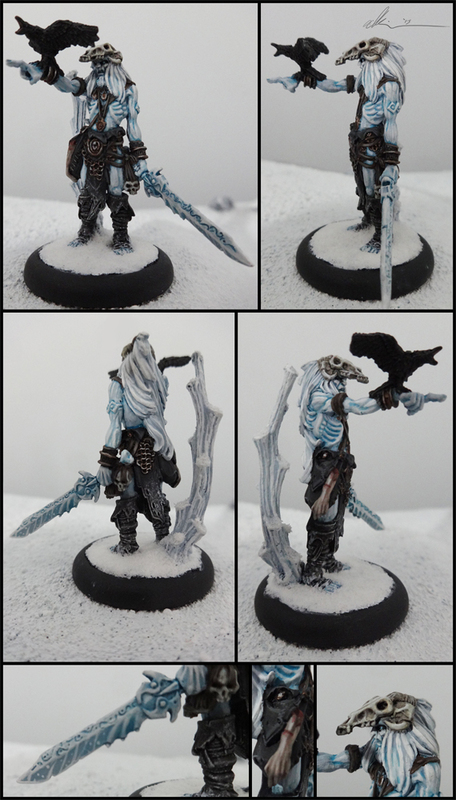 The eyes became a bit of a pain, but Im very satisfied with this one, especially his icy sword and rotted hand. While I've been painting away at my Bloodtrackers, I picked up a few more models, one of which being the oh so good Lord of the Feast. I decided to forgo the antlers and make him a bit less busy. After making my modifcations, I tagged on the usually stick to give it a bit of framing and scenery. Very excited to finish this one! 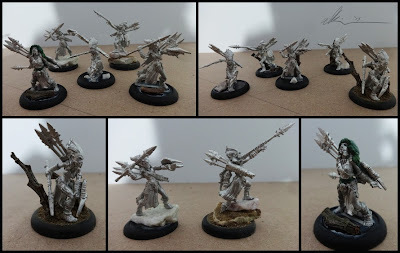 All assembled (and now currently primed and basecoated as I type this) are my unit of Tharn Bloodtrackers. 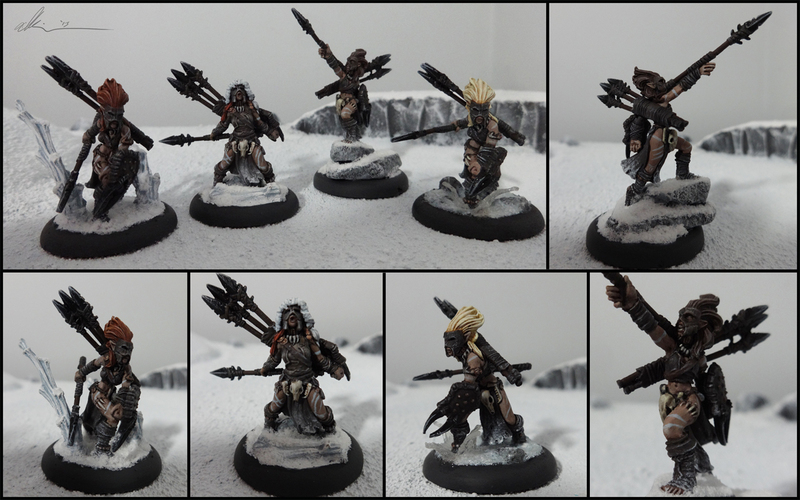 Originally I wanted to bundle these ladies up in furs and hides much like the Wildlings, but after looking over the models with all their straps and bands and various acessories, filing, shaving and cutting each model would be far too time consuming and now provide results I wanted. That still didnt stop me from lopping off the big hair and horns of the leader and giving her a fur lined hood and fur half cape. The second row is a few close up of my favorite models of the bunch. I will say this to anyone looking to work on Bloodtrackers: pin the arms. 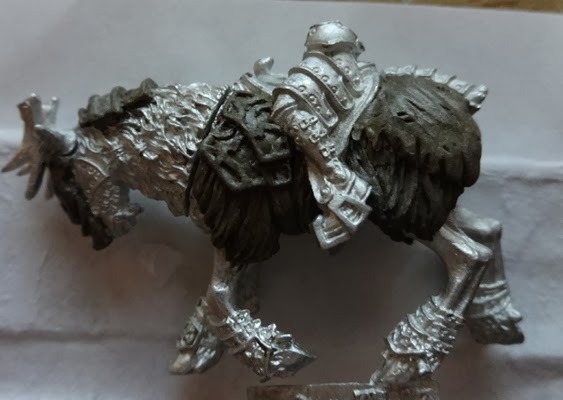 Like a lot of Privateer Press' models, some of the arm connection nubs are quite small and don't provide much in terms of surface area. Gripes aside, loved working on them and how they are coming out. Look for the painted ones soon! 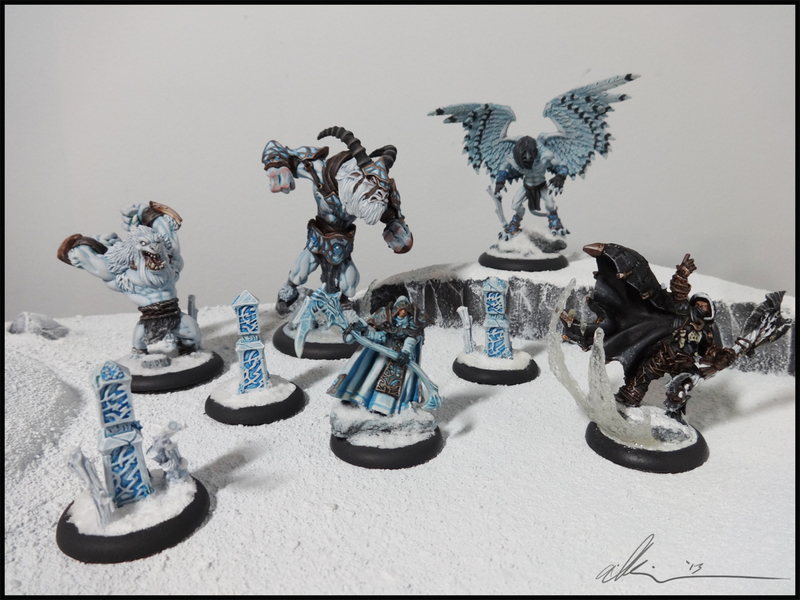 A long ways overdue, but here is my current project: my winter themed Circle of Orboros force. 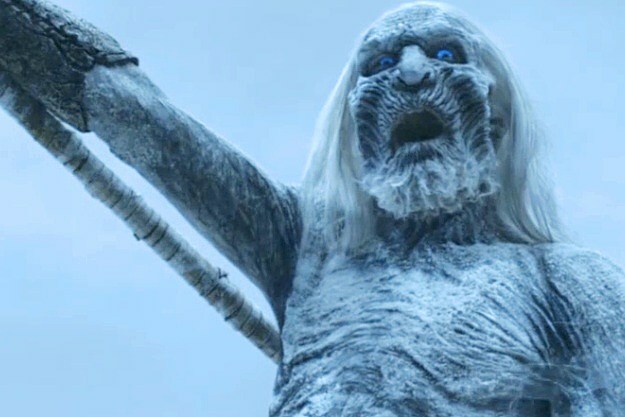 The driving inspiration for the theme and color pallete was the Wildings from Game of Thrones and the whole North of the Wall aspects of the story. 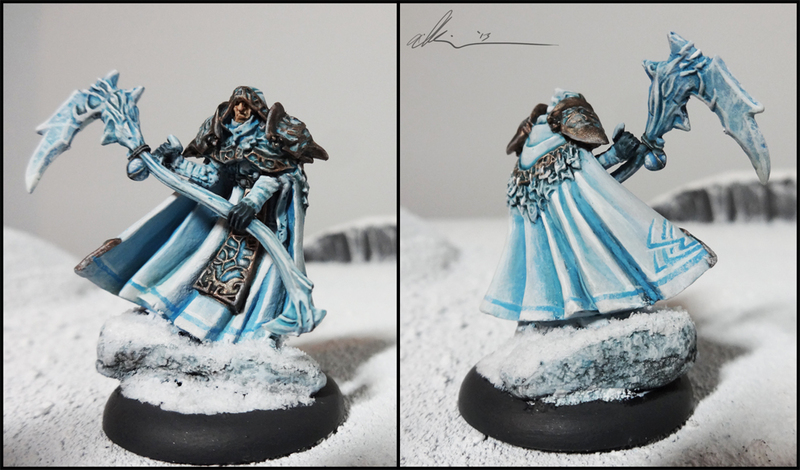 "You know nothing Jon Snow..."
In addition, I really wanted to try out a new color scheme, away from the browns and greens of my swampy Cryx and Gatormen and my desert scheme of Menoth. 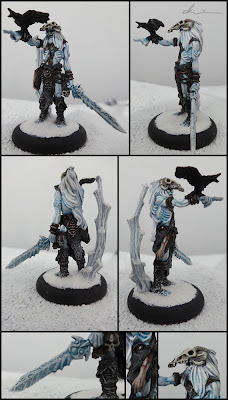 I would say hes the least Wildling-esque, but I wanted him to stand out as he is the warlock of the group, that and he is far more ornate and fancy than the others. The rock was just a rock...yep. 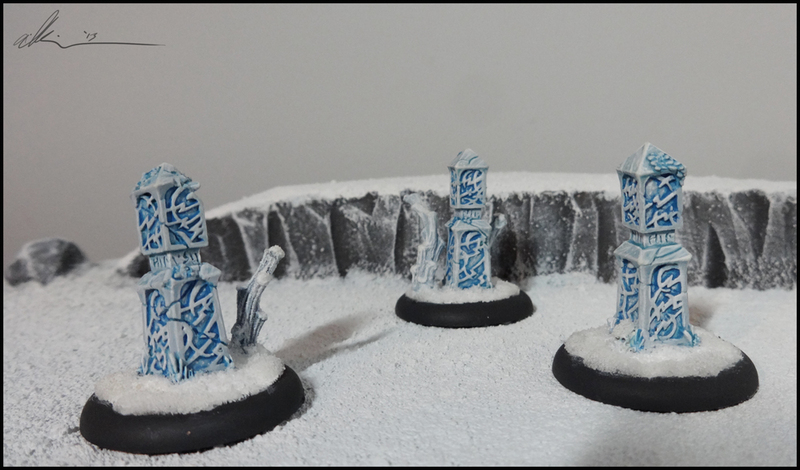 And the snow was a mixture of powder snow basing, white glue and a bit of white paint to punch up the color when it dries. 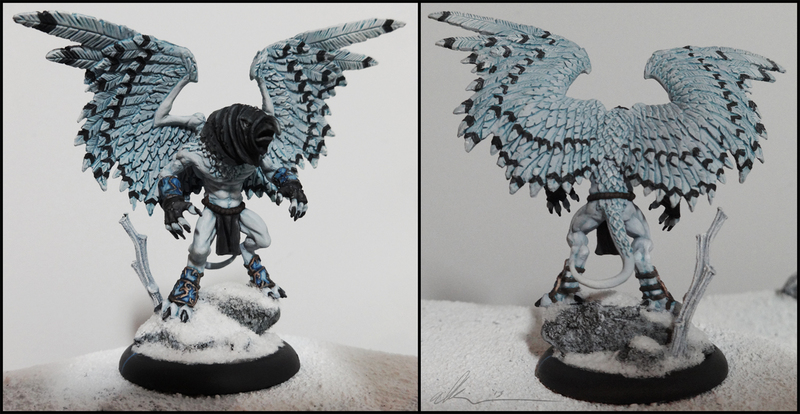 I had to paint the basing underneath white as well to retain a bright white color. 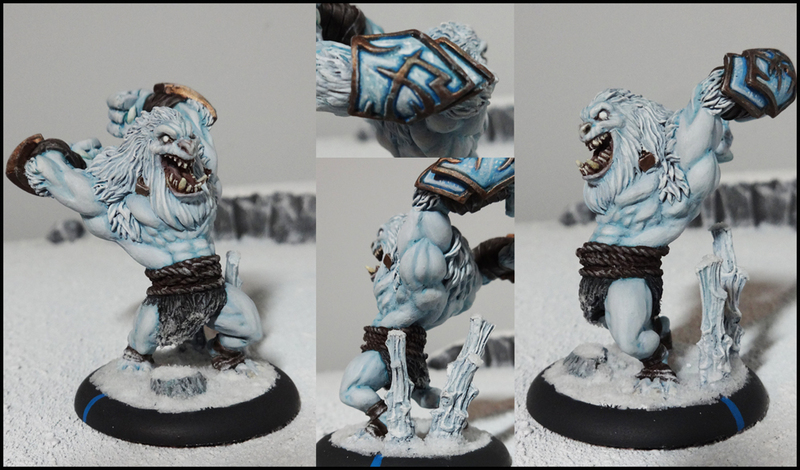 Next up, the Abominable Gorax. I absolutely love the Gorax model. The face, the pose, everything. However, he needed some insulation to stay in that color weather so I gave him a nice big bear and some more hair on the sides of his head. 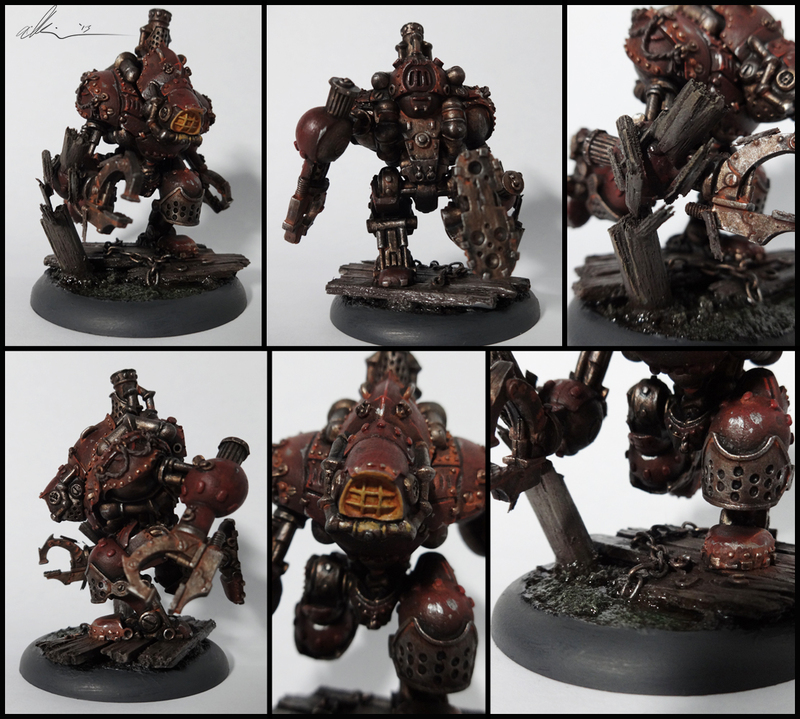 With this model, I cemented my color scheme and process. My main colors were P3 Frostbite, White and Brass Balls., along with Vallejo's Dark Rubber. In addition a common basing element. The gnarled stumps/trees are from the ends of a Rhododendron tree (I didn't buy the plant, but they were in my backyard.) 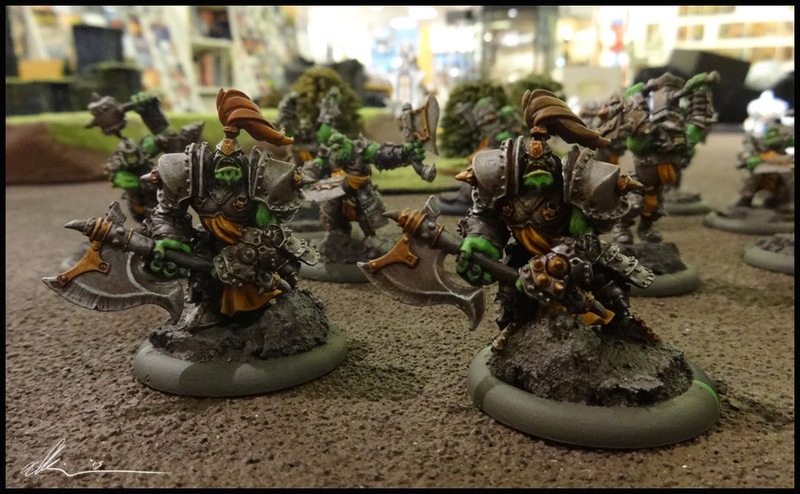 They were simply primed along with the model and then painted. Next, The Scarsfell Griffon. Another favorite. He may not pack a big wallop, but he sure is purdy! 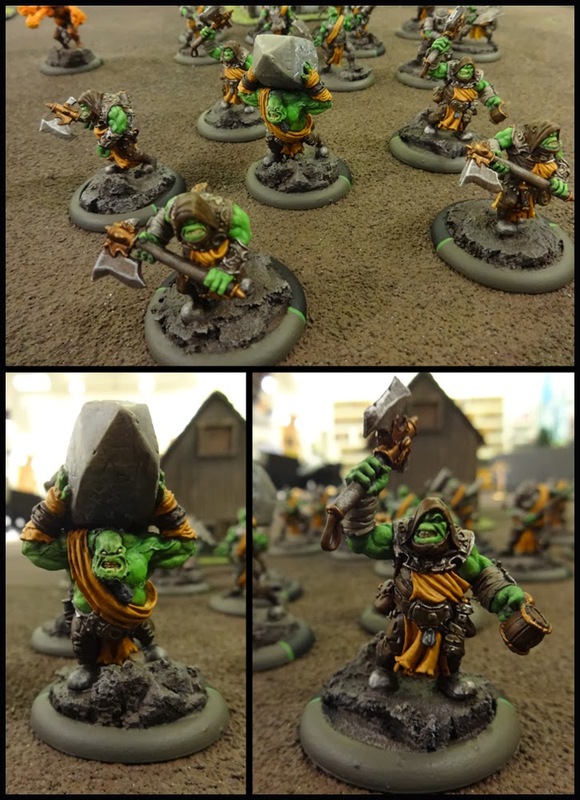 A few Shifting Stones, using the same process and colors as the armor on the Gorax. Next, my new pride and joy, the wooly Shadowhorn Satyr. Reposed with a bit of chopping and greenstuff work, I think I've done the Shadowhorn some justice. To go along with the wintery theme. I sculpted on some layers of fur, notable the beard along with some on the back and in the armpit. The horns were uncurled a bit and cut down in length to resemble the book's artwork more. Very fun, very easy and great results. I would of love to have some work in progress/ unpainted shots of this guy, but alas, I am lazy. Last in my lineup (for now) is the Blackclad Wayfarer. With this one, I got to show off a little more of the Wildling look (although keep the color pallete closer to his namsake). and really went all out on the water effects on this guy, using the basics of the tutorial before. 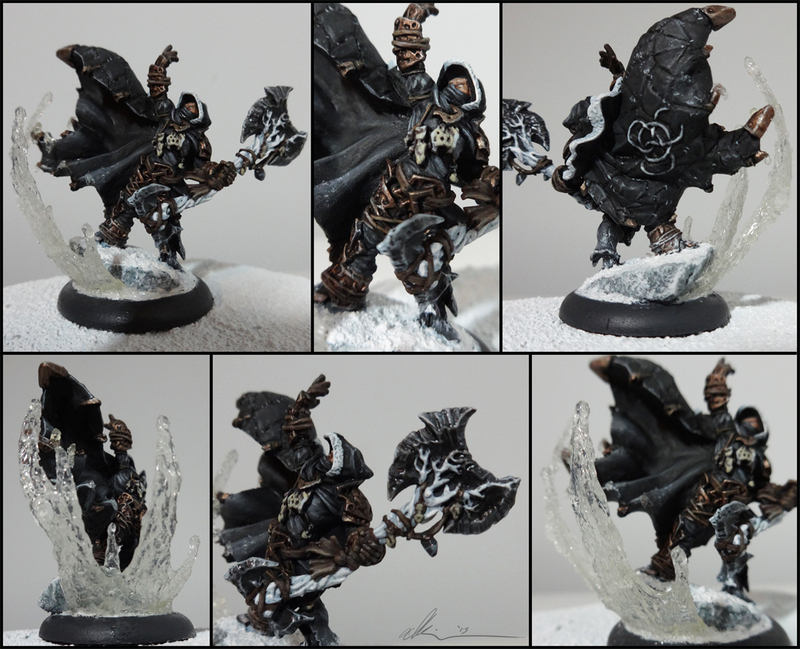 Much like the branches on the bases of the models, I kept the wood of the axe a frostbite/white color, and the blade blackish obsidian like color to resemble the Dragonglass material in GoT. The shine was done with a bit of watered down water effects as I didn't have any varnish. Thats it for now, coming soon...or whenever; Tharn Bloodtrackers! If you're reading this chances are you've already noticed that Unto the Anvil of War has now become The Northern Crusade. 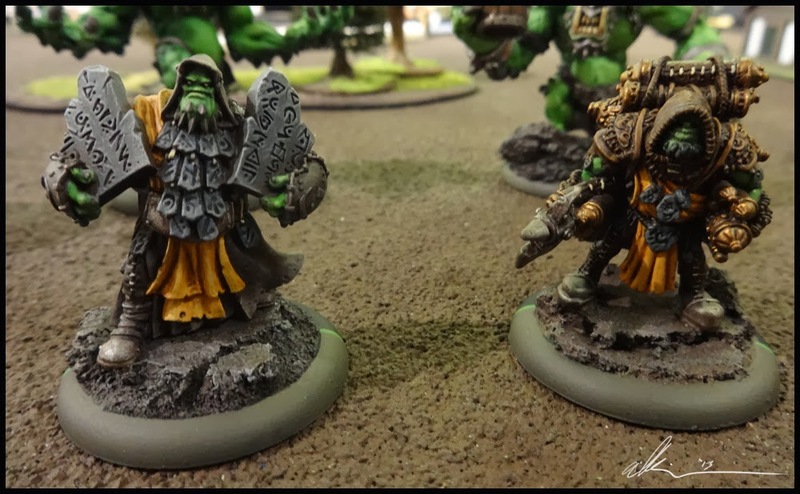 This change marks not only me updating it again, but a shift from my blog being more centered around Privateer Press rather than GW, as I have departed from 40k for the most part and have invested my hobby related time and funds to Warmachine, Hordes and Iron Kingdoms RPG.